Injunctive relief may be sought and obtained for actual or threatened misappropriation of a trade secret. A ‘Trade secret’ is defined to mean information, without regard to form, including a formula, pattern, business data compilation, program, device, method, technique, design, diagram, drawing, invention, plan, procedure, prototype or process, that: (1) derives independent economic value, actual or potential, from not being generally known to, and not being readily ascertainable by proper means by, other persons who can obtain economic value from its disclosure or use; and (2) is the subject of efforts that are reasonable under the circumstances to maintain its secrecy. The Act contains a statute of limitations: An action for misappropriation shall be brought within three years after the misappropriation is discovered or by the exercise of reasonable diligence should have been discovered. “The new legislation seeks to balance the equities in circumstances where a recipient of a misappropriated trade secret makes a material and prejudicial change in position before it knows that the information had been taken improperly from another person or company. Trade secrets are critical to numerous businesses across all industries. 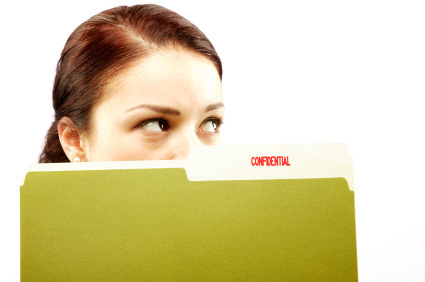 Many categories of information, if kept secret, may be protected under trade secret law, including but not limited to engineering drawings, sources of raw materials, customer lists, data compilations, and certain business and manufacturing processes. In many instances, a company’s trade secrets are critical to the continued vitality of its business. Consequently, it is important to keep abreast of changes in trade secret law, like the passage of the Act, because they may require changes in business practices and of course will impact litigation strategy. First and foremost, review your trade secret policy, and if necessary conduct a trade secret audit with the assistance of an attorney familiar with this area of the law. You should have strict policy prohibiting sending confidential information to an employee’s personal computer without prior written authorization. Share information that you consider to be a trade secret only on a need-to-know basis and pursuant to a written agreement.